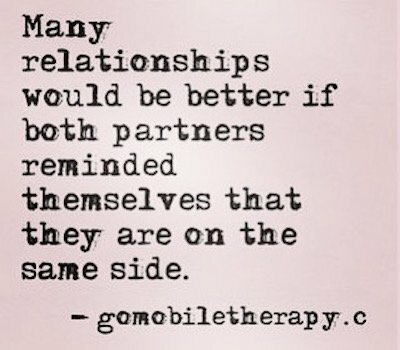 How different relationships would be if we saw our partner as our teammate rather than our opponent…and similarly, what leads us to defend against rather than turn towards? For starters when we’re hurt and vulnerable, all we want is for our partner to be there. To show up and comfort us. We want them to prioritize our pain over theirs in that moment and listen to understand. And while sometimes our partner may be able to give us this kind of attuned emotional response, more often than not they react from a place of anger because just like us, they are human and as a result imperfect.